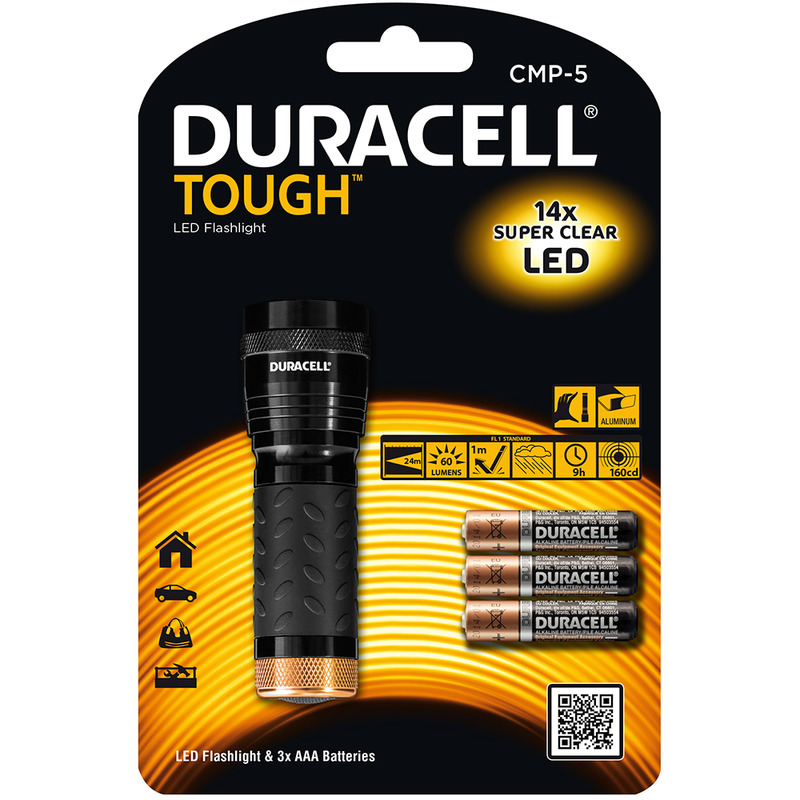 Built to survive any job, all Duracell TOUGH® flashlights are made with light, shock-proof and splash water protected aluminum of premium quality. There are five different series to meet all requirements - they vary in shape, size and technical details. This Compact Duracell Tough Torch uses patented TrueBeam Optics, which combines LED technology with precision-focus lensing to give you an ultra-bright, even, white light that's 20x brighter than standard 5mm LED torches.All Duracell Tough Torches are constructed from aircraft-grade aluminum, so they aren't big and heavy, just brighter. Built with the quality you would expect from a brand as valued as Duracell.